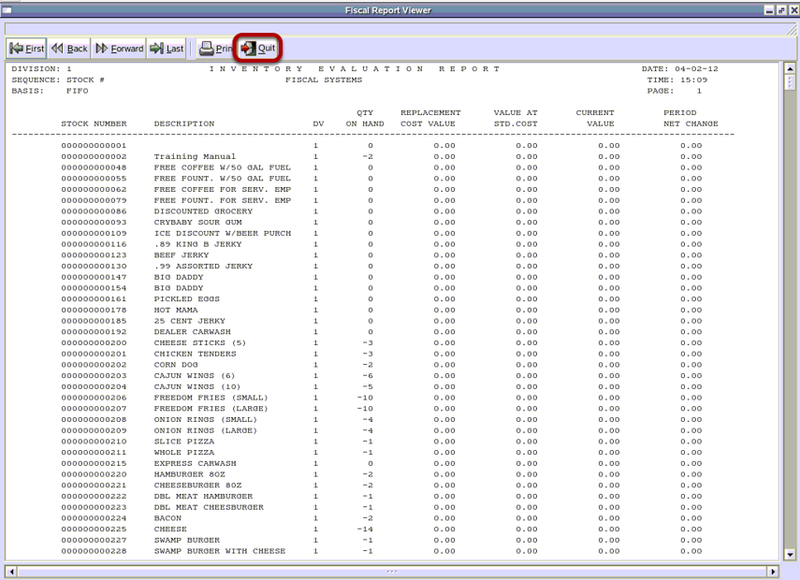 TravStar1 Point Of Sale SystemManager's Work Station Inventory ControlHow Do I Inventory the Store Without a Wireless Handheld Scanner? How Do I Inventory the Store Without a Wireless Handheld Scanner? 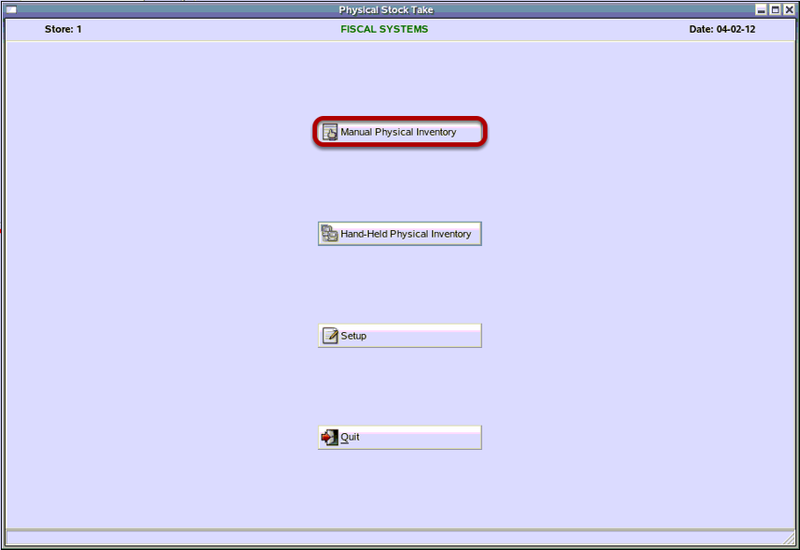 This lesson will teach you how to perform a physical inventory count of your store based on categories of items. This inventory is referred to as a manual inventory because it will show you the steps to performing a physcal stock take without using a wireless handheld scanner. 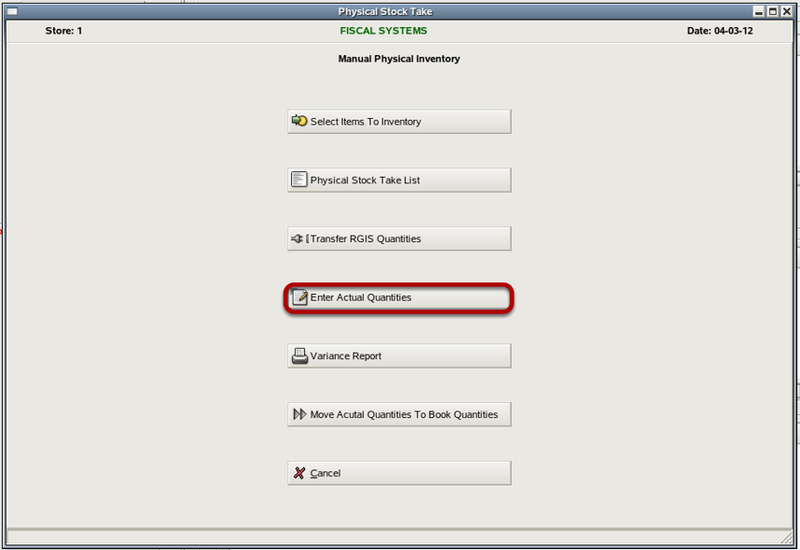 To perform any inventory you must first select which items you are going to inventory. 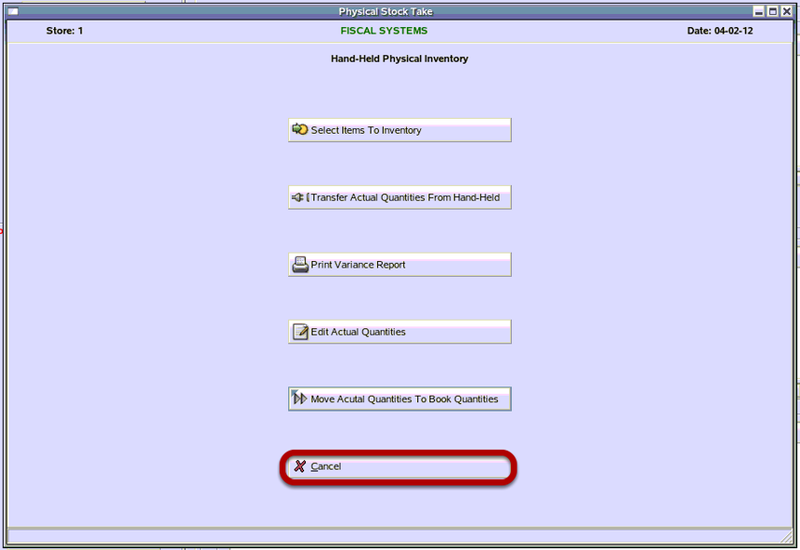 By selecting the items, you are taking a snapshot of your current on hand quantities also known as the Book Quantity. The system will make a comparison between the Book Quantity and the quantities you actually count and enter into the system manually. Your variance tells you if you are over or short in your inventory count. Follow the steps below to select the items for your snapshot. The snapshot is performed on the the Manager's Workstation. 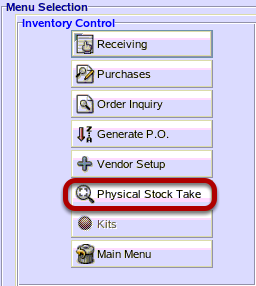 From Inventory Control, click on "Physical Stock Take". 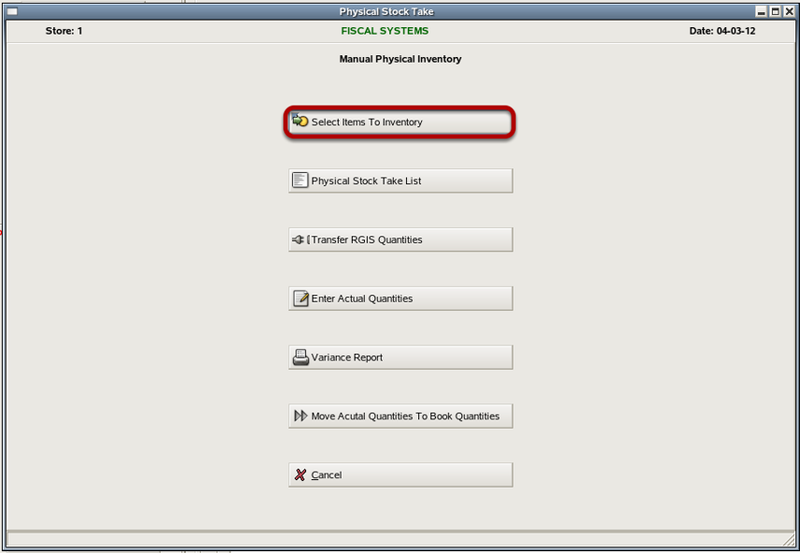 Click on "Manual Physical Inventory". 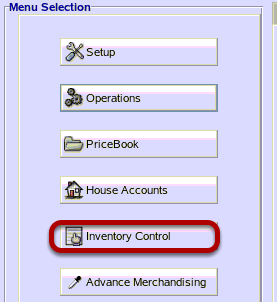 Click on "Select Items To Inventory". 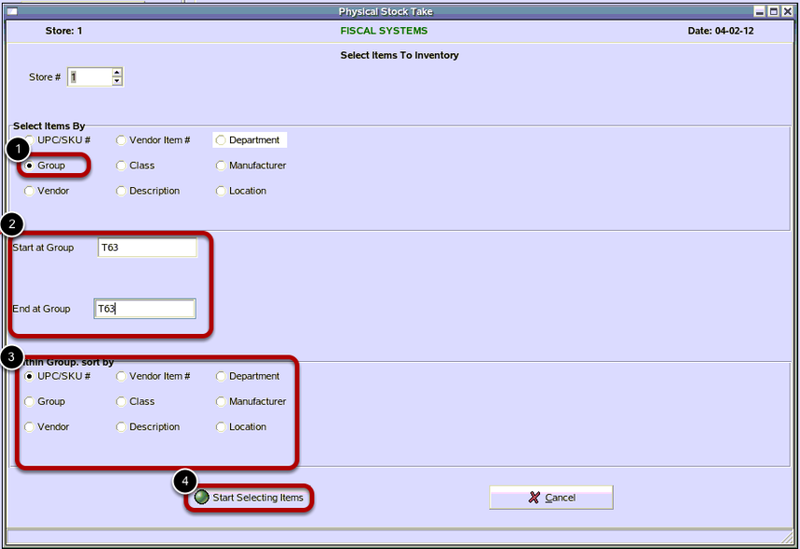 1) In Select Items By, click next to Group so the dot appears in the field. 2) Type your group name in the field next to Start at Group and End at Group. 3) In the Within Group, sort by section, click next to the field you would like your information sorted by for your reports. 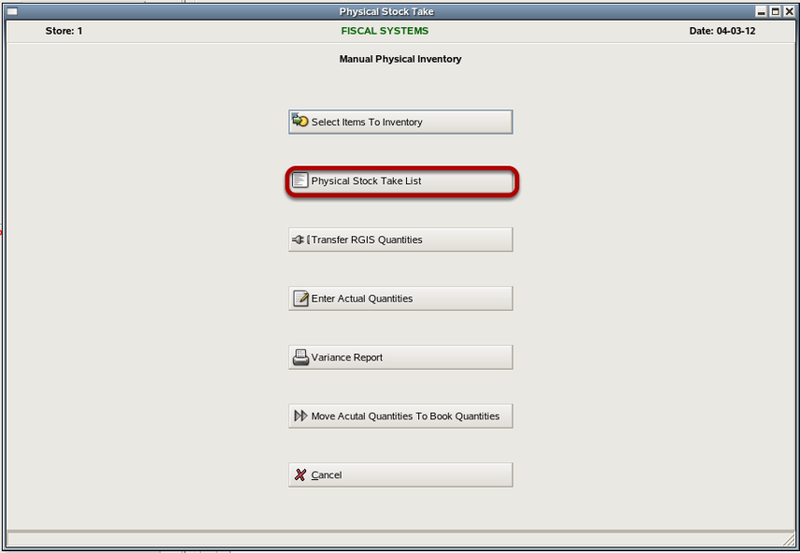 4) Click on "Start Selecting Items"
To print a list of the items in this inventory to carry with you on the floor, click on "Physical Stock Take List". Depending on who is performing the counting, typically you will not show Book Quantities on this report. 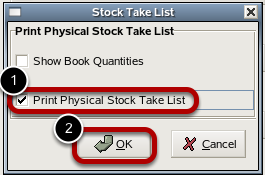 1) Click in the box next to Print Physical Stock Take List to checkmark the selection. 2) Click on "OK". 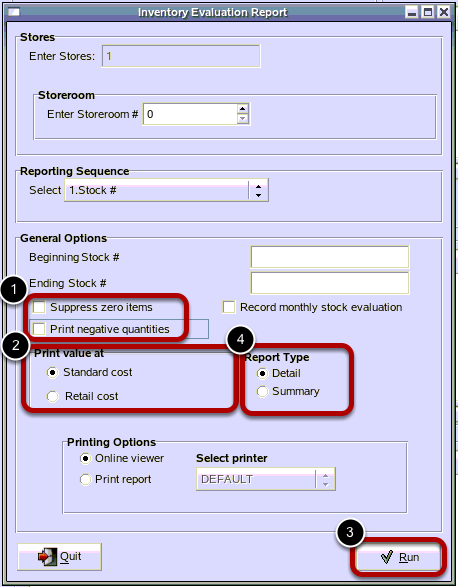 Your Stock Take List should print out on your MWS printer. 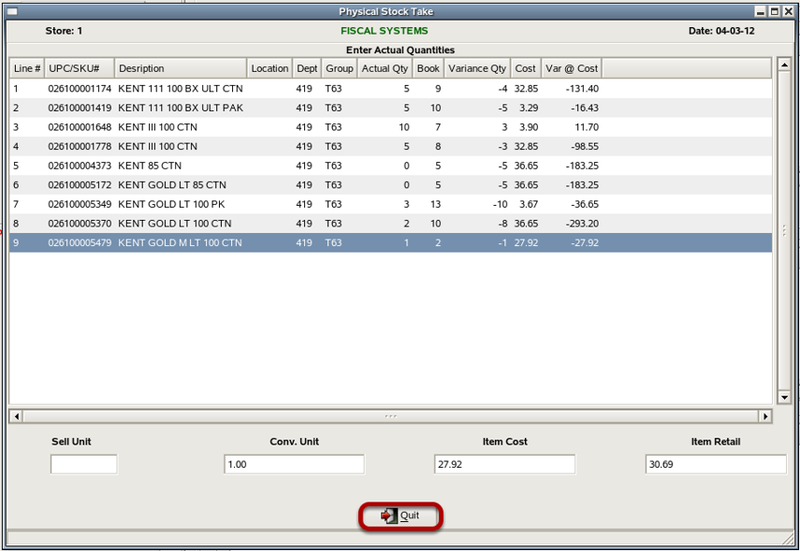 You can right your counts in the blank spaces provided on the Stock Take List you printed. When you have completed your count, you must manually enter them into the Manager's Workstation. To enter you inventory counts, click on "Edit Actual Quantities". Double Click in the Actual Qty column next to the item. Type in the quantity for that item. You can also use the up and down arrows on your computer keyboard to navigate between these items. Pressing the Enter key once you have an item highlighted allows you to edit the quantity for that item. Continue down the list until you have updated the Actual Qty for all of the items. 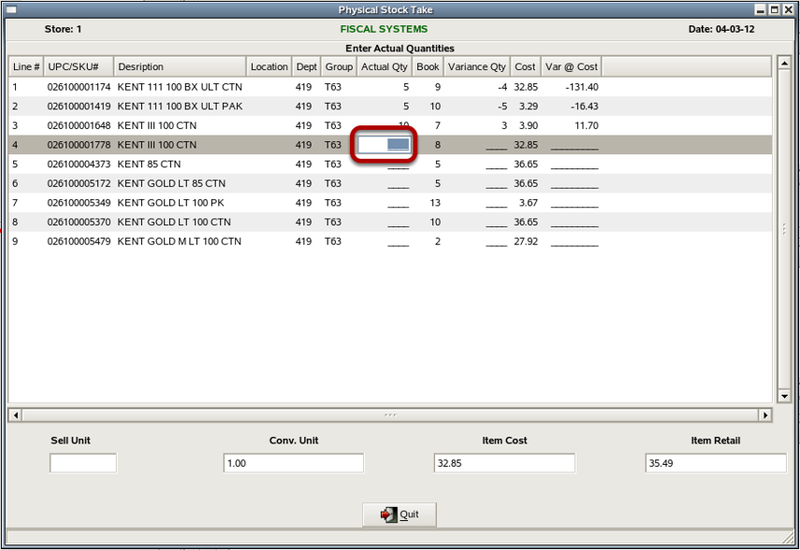 If it is an item there is an item that is out of stock, enter a 0 for the actual qty. This is the point where you will correct any mistakes in counting. Once you have completed entering the quantities, click "Quit". The last option, Print only items with a variance, will be more important after you complete your first physical stock take of your items. 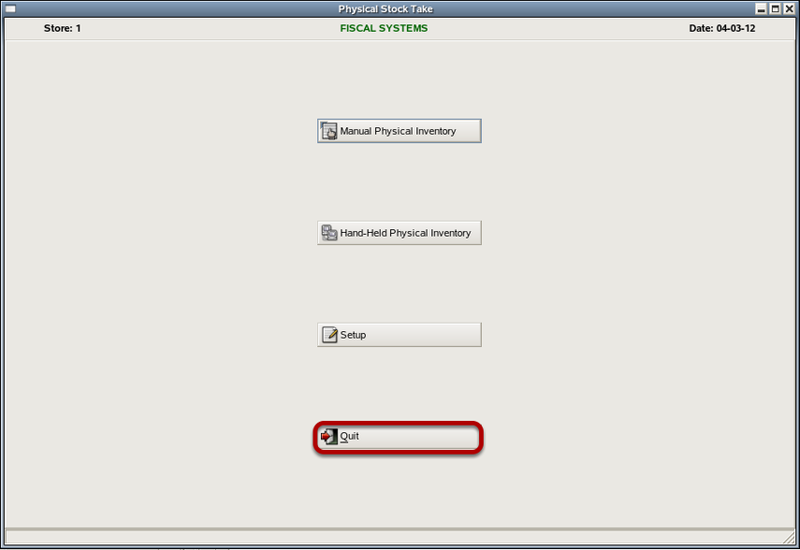 This will allow you to run a report that only prints those items that have a variance instead of the entire inventory. The variance report is another good way to double check the Non-counted items. You can check mark all 3 options for this report. Click on "Print". 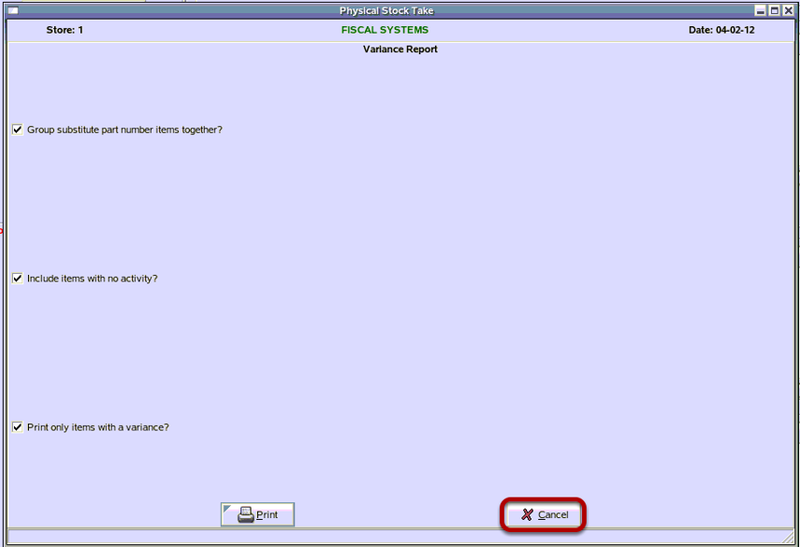 After you begin performing regular inventories and receiving, your variance report should include very few items. 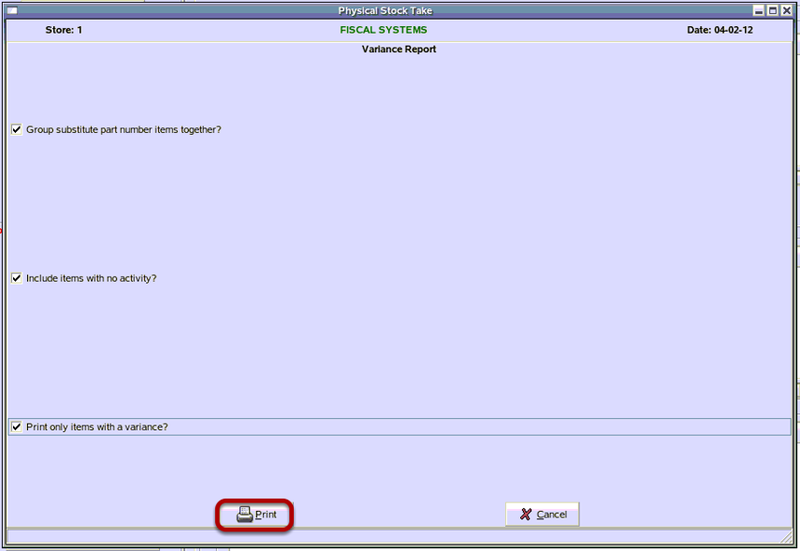 Verify any items on the variance report were properly counted. 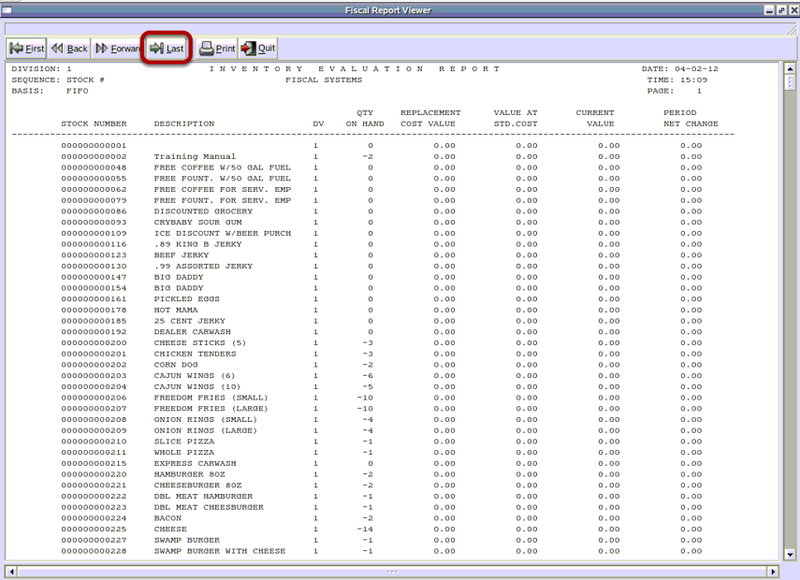 This report shows you if you are over or short on any individual items. 1) Click "Print" if you want to send the report to the printer. 2) Click "Quit" to exit the report. 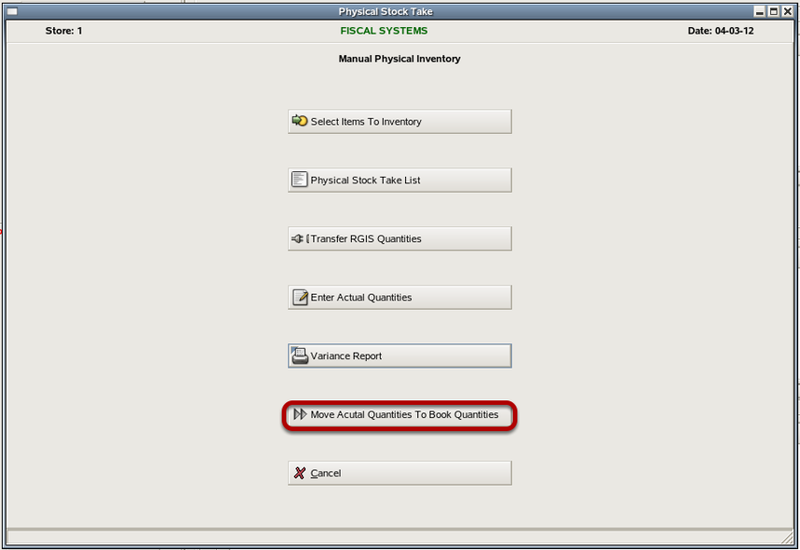 To accept your inventory counts, Click "Move Actual Quantities To Book Quantities". 1) Type in the password in the Enter Password field. Default password is SUPR . Be sure to type in all capital letters. Since you have verified all of your Non Counted items in the previous steps of this inventory, click "Yes"
At this point, you should be confident that your counts are correct and you have verified all Non Counted items. You have made any corrections you need to make. You have completed you inventory. What If I Need A Report That Provides Me a Cost For My Inventory To Provide To My Accountant? 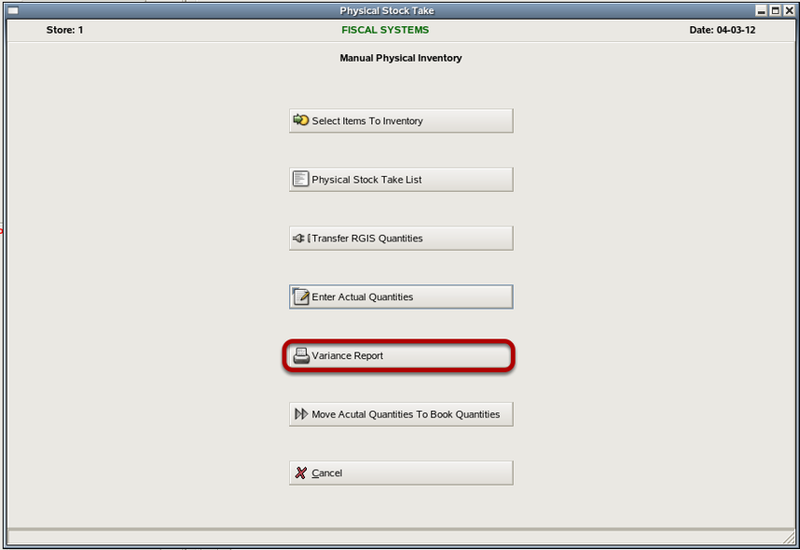 From Inventory Control, Click on "Inventory Evaluation Report"
The Inventory Evaluation should be ran immediately after you have completed moving the quantities for you Physical Stock Take to insure its accuracy. 1) Uncheck Suppress zero items. Uncheck Print negative quantities. 2) In the Print value at section, note that we have Standard cost selected for this report. It can be ran for Retail as well. 4) Also note that this report can be printed with detail, or if you just want the totals, you can select summary. Click "Last" to go to the last page and get the REPORT TOTAL. 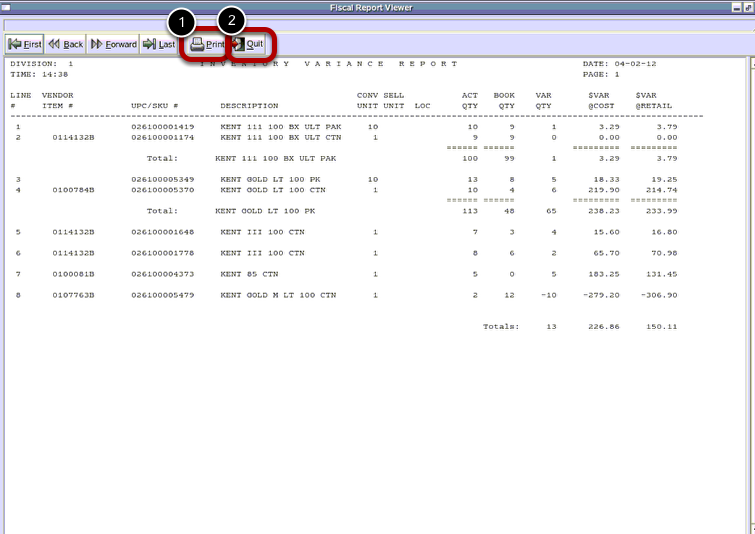 Prev: How Do I Receive a Vendor Invoice With a Wireless Handheld Scanner? Next: How Do I Inventory the Store with a Wireless Handheld Scanner?